Forests are of tremendous ecological and economic importance. They provide natural places for recreation, clean drinking water, and important habitats for fish and wildlife. However, the warmer temperatures and harsher droughts in the west that are related to climate change are causing die-offs of many trees. Outbreaks of insects, like the mountain pine beetle, that kill trees are also more likely in warmer, drier conditions. To maintain healthy and functioning forest ecosystems, one action forest managers can take is to make management decisions that will help forests adapt to future climate change. However, adaptation is a process based on genetic change and few tools are currently available for managers to use to incorporate genetic information into management decision-making. Information is needed that links the responses of trees to environmental change and to develop genetic profiles of resistant trees. This information could then be used in screening for adaptive genetic traits and to assess genetic diversity. This project will help gather that information through a pilot study focusing on mountain pine beetles and whitebark pine trees in western Montana. 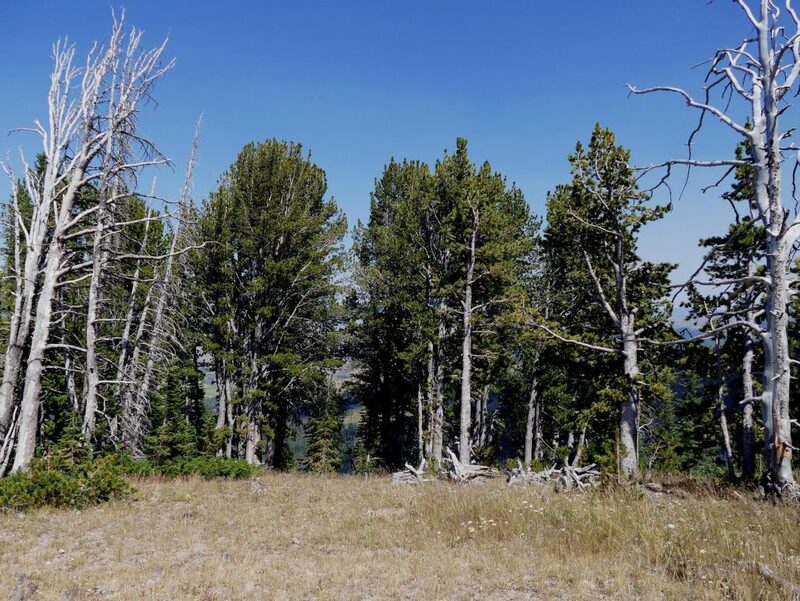 Researchers are investigating whether the current mountain pine beetle outbreak has resulted in the selection (survival and reproduction) of drought tolerant, and consequently, beetle resistant whitebark pines. They will examine tree core samples, tree resin, and pine needles to understand characteristics of the remaining forests and to collect DNA. From this work, the team expects to develop an easy and economical approach for screening whitebark pine trees for drought tolerance, beetle resistance, and genetic diversity that can be used in the conservation and restoration of this threatened, ecologically important high elevation tree, and other conifers experiencing climate-driven bark beetle outbreaks.